You can make a skin whitening face mask by mixing 1 tablespoon of papaya pulp , half tablespoon honey, honey, 1 tablespoon milk and half tablespoon of milk powder. Apply this face mask on your face and neck and leave for 15-20 minutes then rinse off with water and gently pat dry your skin. Apply this mask twice per week and see the difference within 4 weeks. 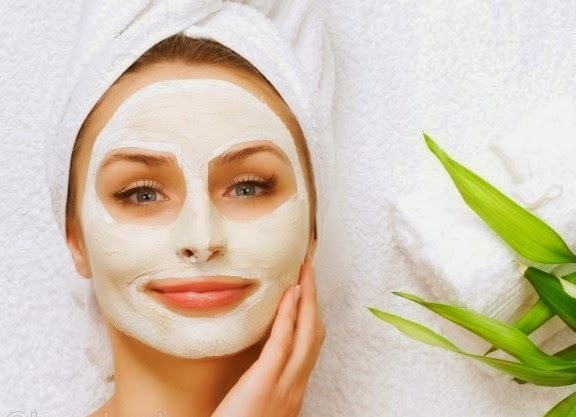 An other skin whitening face mask is a mixture of 1 tablespoon of milk powder, 1 tablespoon of honey, 1 tablespoon of lemon juice, and half tablespoon of almond oil. Mix them well and apply this face mask on your face and neck. Leave it for 10-15 minutes then rinse off with water. Fuller's Earth Clay Mask is also very famous for skin whitening. Fuller's Earth has been widely used as a skin-lightening agent and best known for skin bleaching. Besides skin bleaching, it absorbs the dead cells on the top of the skin and give you a fresh skin by extracting excessive oil. You can make Fuller's earth Clay mask by mixing 1 teaspoon of clay with 1 teaspoon of distilled water or rosewater. While making Fuller's earth clay mask use non metal bowl and spoon. Now apply this mask on face and neck but avoid eye area. Let it stay for 15-20 or until it starts drying then rinse off with lukewarm warm water and then splash with cold water to close skin pores. This mask is best for oily skin. You can also prepare a skin whitening facial mask with mashed banana, 1 tablespoon of honey and 2 tablespoons of sour milk cream. Apply this mixture on your face and neck and let it stay for at least 15 minutes then clean it with soft and moist cloth and finally wash off with fresh water.This skin whitening facial mask is best for dry skin. You can make an other face mask by mixing take two tablespoons of gram flour(besan), 2 tablespoon milk cream, 1/2 tablespoon lemon juice and a pinch of turmeric powder. Mix these ingredients to form a fine paste and apply this on your face and neck. Let it stay on the skin for 15 minutes and then rinse off with lukewarm water. Make a skin whitening mask by mixing equal amounts of turmeric powder and sandalwood power. Add some rose water to make a thick paste. Apply this paste on your face and neck and let it stay for 15-20 minutes, then rinse off with lukewarm water and then splash with cold water to close skin pores. This mask is best for oily skin. Take 2 strawberries, half tablespoon of non-flavored yogurt, and half tablespoon of honey. In a bowl, mash the strawberries with a fork until smooth. Now add yogurt and honey and mix them well. Now cleanse your face with fresh water and a mild cleanser, spread this mask over your facial skin and neck evenly. Place two cucumber slices on your eyes to refresh them. Relax for 15 to 20 minutes. After allowing the mask to work on your skin for few minutes, wash off your face with clean and cold water. Finally Pat dry and moisturize.